A good website that is attractive to visitors and ranks well in Google will more than pay for itself. Find out more by scrolling down through the site. Great websites don't need to cost the earth! Our plans start at just £9.50 a month + one off setup charge. 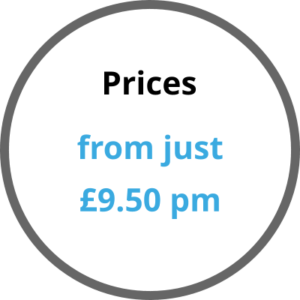 Find out more about our price options here. 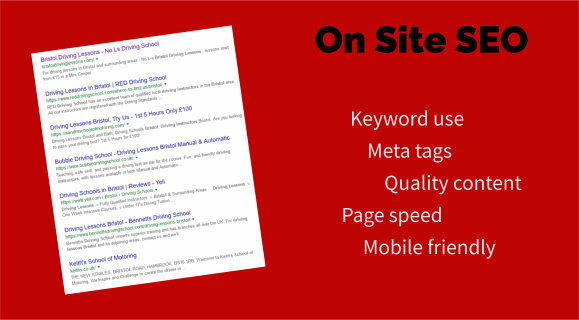 Check out our fabulous Google optimised, mobile friendly designs. Choose a website that looks great! 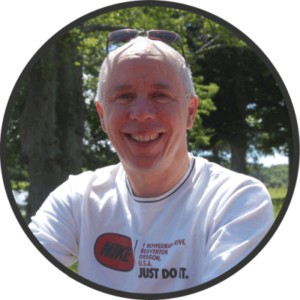 See our designs here..
Hi, I'm Nick Reynolds. If you want to talk through your options with no obligation then send me a text on 07985 096345 and I'll call you back at a time convenient for you. Alternatively fill in our enquiry form here. Most people are searching for a driving school on their mobile phone. So it’s essential that your website is mobile friendly and optimised to convert visitors into customers. All our designs are 100% responsive. This means that your site will be displayed to its best advantage on any device whether smartphone, tablet, laptop or desktop computer. We don’t just serve a cut down mobile version of your page, but a fully responsive design that means people can access ALL your content from whatever device that they are using. All our sites pass the Google mobile friendly test. There’s no point in having the most wonderful driving school website if no one can find it! 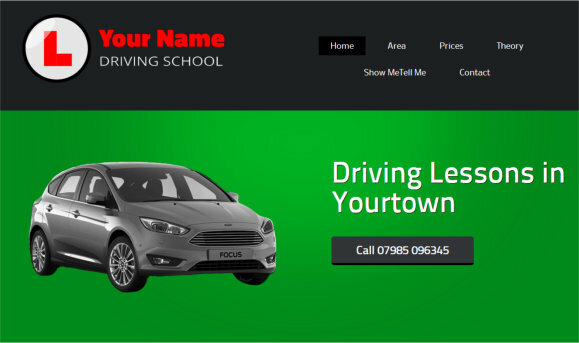 For that reason we ensure that with our expertise in the driving school website industry, we use the best and most appropriate content and meta tags for your site to rank well. We will also submit your site to a number of search engines and directories to help get your site indexed fast! Many of our sites are on the first page of Google! We can advise on setting up a Facebook page and linking it to your website and setting up your Google Local Business listing as well as offering additional seo services. 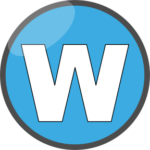 We can set up a Freeindex page for you and will send out regular updates of ways that you can boost your online marketing. With our expert advice you will get a far better return on your money than trying to do a do it yourself website with the likes of Wix, 1and1 or Go Daddy! 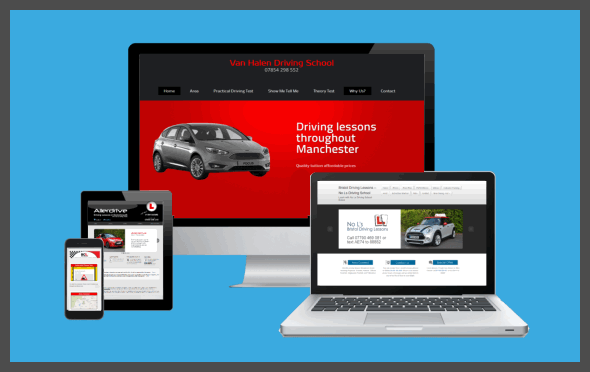 With over 14 years experience of providing websites to driving instructors, we offer an unparalleled service to our customers. 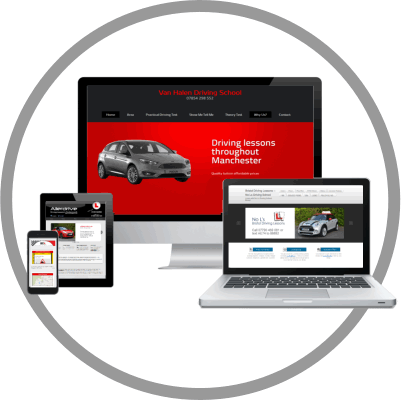 We have a working knowledge and understanding of the driver training industry as well as expertise in web design that is right up to date. We offer a quick turn around time (normally your website can be online within just a few days) as well as a personal service that can adapt to your needs. No business marketing is complete without a website and our range of attractive designs will help you to reach more customers.